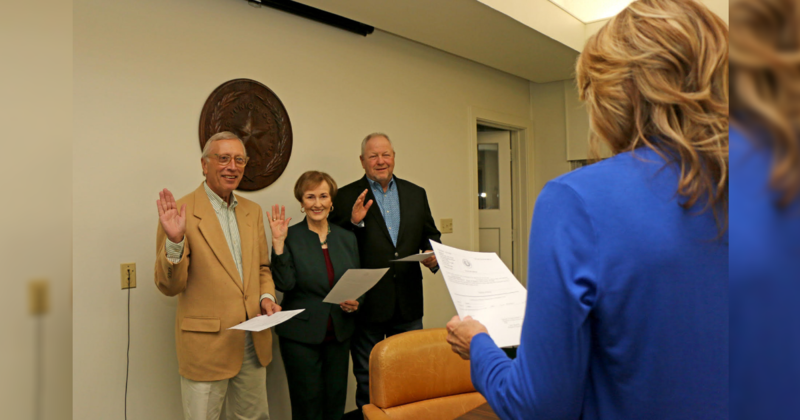 Recently elected PJC regents are sworn in for six-year terms Monday evening by PJC Executive Secretary Pam Bennett. Shown from left are Curtis Fendley, Ginna Bowman, and Mark Buster. Photo provided by PJC.